SABIC – one of the world’s leading petrochemical companies – has expanded its growing portfolio of innovative material solutions with the recent investment in a majority stake in Fibre Reinforced Thermoplastics B.V., with manufacturing operations in Lelystad, The Netherlands. 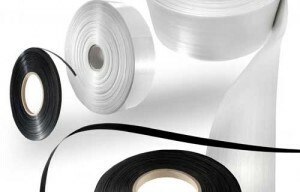 SABIC’s new Fibre Reinforced Thermoplastics (FRT) business specializes in the production of engineered thermoplastic, fiber-reinforced unidirectional (“UD”) tapes. These tapes can be used across a wide variety of industries, ranging from building and construction to transportation and energy. “This investment will enable SABIC to develop new thermoplastic products, processes and design solutions to help our customers take full advantage of the unique light weighting opportunities offered by composites,” said Ernesto Occhiello, EVP Specialties, SABIC. “At SABIC, we engage with our customers to develop advanced products that support their specific needs and help them realize their ambitions,” said Andrey Turchin, SABIC’s FRT business leader. “Our innovative UDMAX™ composite tapes complement SABIC’s existing range of thermoplastic solutions for customers striving to build smaller, lighter and stronger components that meet stringent industry standards,” he continued. UDMAX™ tapes are made using a unique proprietary HPFIT™ technology, which quickly and precisely enables the spread and combination of thousands of glass or carbon fibers with a thermoplastic matrix. As a result, the tapes have a high density of fibers, high quality fiber impregnation in the resin matrix, minimal void content and fewer broken fibers. They can be used to form composite materials that can in turn be used to manufacture components with superior performance to alternative materials, such as laminates and molded parts.